It’s a little last minute, but one of my husbands favorite magazines is a great deal tonight and I thought I would share. 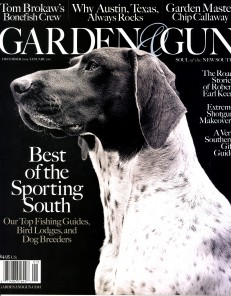 You can snag a Garden & Gun magazine subscription for only $3.99 from DiscountMags. Use the code: SOUTHERNSAVE to get the discount. To us this is like the old Southern Living magazines, with great stories and pictures. The articles cover every activity you could imagine both indoors and out! Each issue is 65¢! This deal expires tomorrow morning at 10 AM.